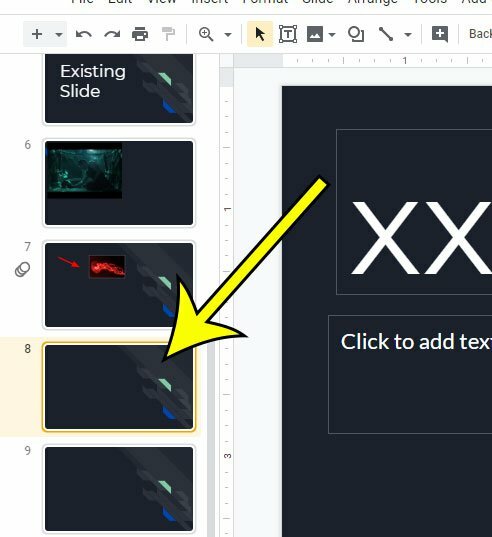 A slideshow that you create in a program like Google Slides can include a lot of information that you want to give to others. Mixed amidst this information is likely to be some other objects, such as pictures. Fortunately you can add a picture to a slide in your presentation using a tool that is available in the application. These pictures can be added from a few different locations. 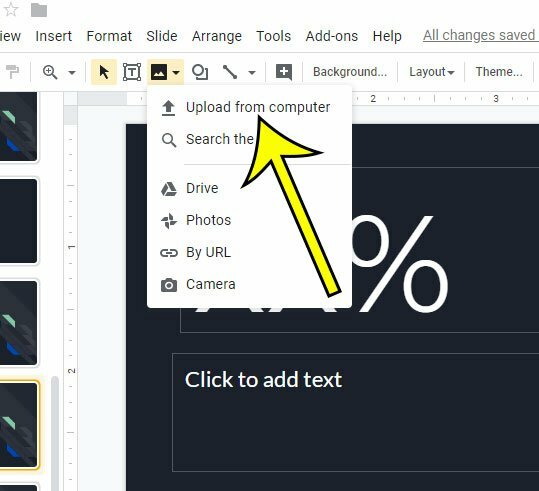 Our guide below is going to show you how to add a picture to a slideshow in Google Slides. The steps in this article were performed in the desktop version of the Google Chrome Web browser, but will work in other desktop browsers like Edge or Firefox. 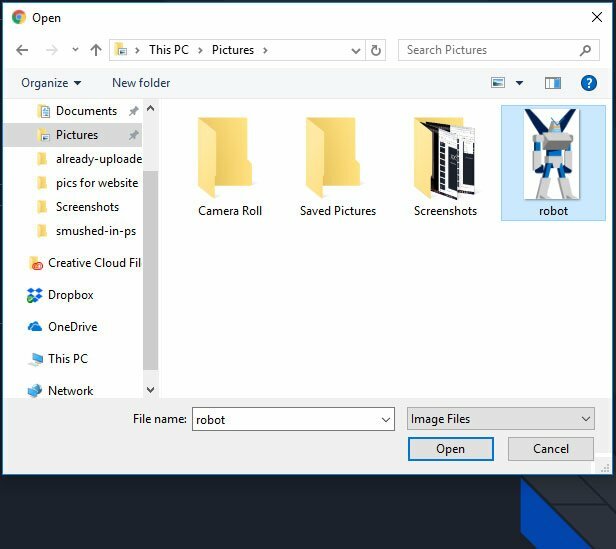 This guide assumes that you already have the picture you want to use saved to your computer. Step 1: Go to your Google Drive at https://drive.google.com and open the slideshow into which you wish to insert the picture. Step 2: Select the slide from the column at the left into which you wish to add the picture. Step 3: Click the Image button in the toolbar above the slide. Step 4: Choose the Upload from computer option. Step 5: Browse to the picture you want to use, select it, then click the Open button. You can then resize the picture using the controls around the picture, and you can drag it to the desired location in the slide. Is there a slide in your slideshow that you don’t want to display when you give your presentation? 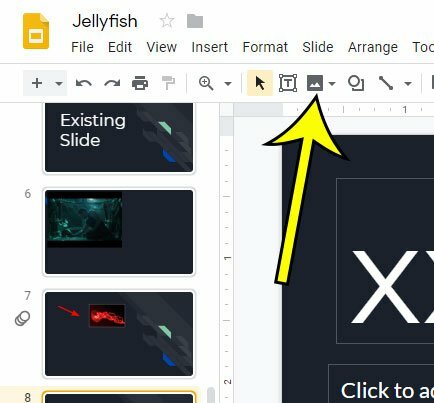 Find out how to skip a slide in Google Slides so that you can keep the slide, but not show it to your audience. Where Did the Gridlines Go in Excel 2010?